We'll get this out of the way, just to clear the air. I am no longer a fan of open-world games. I've grown exhausted of hopping from waypoint to waypoint, completing missions, scrounging unnecessary resources, taking extended amounts of time to reach a destination, not caring about the world around me because getting to that point on the minimap is all that ultimately matters. It's become increasingly easier to make open-world games, and lots of developers have become excessively lazier leaning on the established formula of what's acceptable in one. Of course, not all open-world games are awful, but gaming has fallen into a bit of a trap for this genre, and it's taking a toll on smart level design. I can count the number of modern open-world games I've truly loved on one hand, and they are enough to satisfy me. Developers can make them, and I can continue to balk all I want. What bothers me though is when franchises which have not traditionally been open-world make the change with little reason to do so other than to stick with the trends. Final Fantasy XV worries me, and you could imagine what I felt when series creator Hideo Kojima announced that Metal Gear Solid V: The Phantom Pain would be taking this route as well. Metal Gear Solid! The franchise so hell bent on cramming story down its audience's throats with world record cutscenes for length and extended Codec conversations. How could these infamous traditions possibly mesh with the time consuming design of an open-world game? What would an open-world setting bring to the stealth genre? What is he thinking!? Well, leave it to Hideo Kojima, one of history's greatest game designers, to make me a believer. 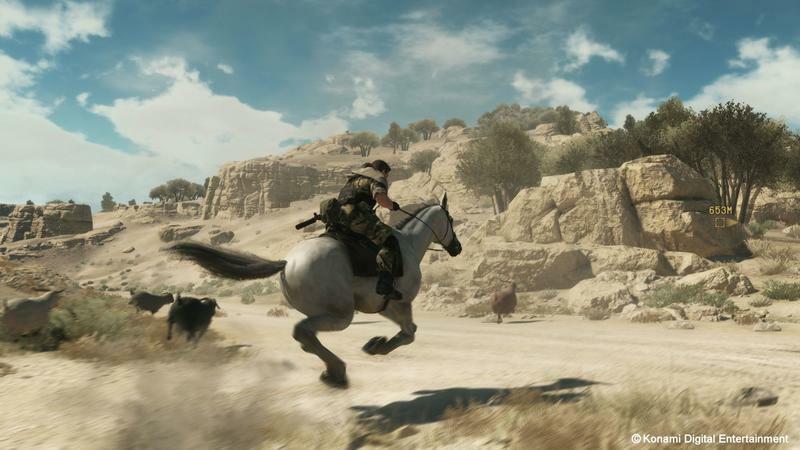 Rather than discuss what makes Metal Gear Solid V: The Phantom Pain a fantastic game, I first want to talk about how it works specifically as a Metal Gear Solid game in an open-world setting. The problem most open-world games have is that they try to bring too much to the table, most noticeably in terms of gameplay and story. I have yet to experience a truly great narrative told properly in an open-world setting, and it's because the two concepts fly in the face of each other and clash at every point they meet. Telling a story properly requires pacing, requires consistency, requires beats, requires a sense of continuation, jumping from point to point to point. Naturally, this is impossible in an open-world setting since the call of the wild will constantly disrupt the desperately needed flow. Likewise, open-world games push you to break away from barriers, find out what lies over that mountain, uncover missions and characters you might not otherwise come across, ignore what is expected of you. A deep story and central character that anchors the player to a specific path to find out what happens, meaning if you're interested in what is going on, you'll always feel reeled back in before too long. The best games that have found a balance between these two find a balance between a minimal yet interesting plot and a world which has its own smaller stories to uncover. Fallout 3 is a brilliant example. (What's the story in that? "Find your dad.") 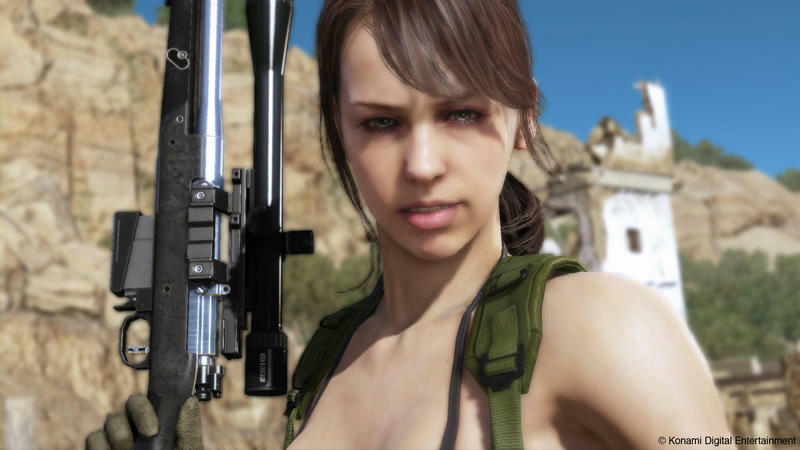 But when we're talking about Metal Gear Solid, minimal plot isn't exactly what comes to mind. In fact, it is the exact opposite of everything the series' complex story arcs have become infamous for. Hideo Kojima, being the genius that he is, recognized this immediately, and set the plot on the back-burner for The Phantom Pain. 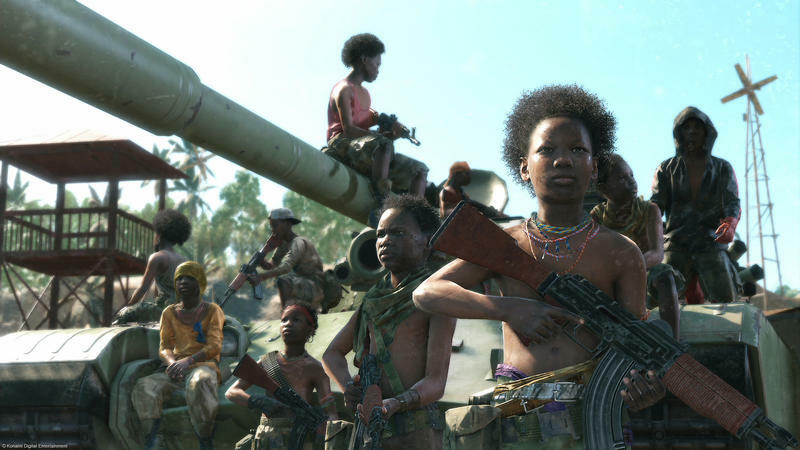 Metal Gear Solid V is unusually brief in its storytelling, very precise and to the point about its themes, its characters, and the motivations for its villains. Gone are the long cutscenes, questions of reality or psychological ramblings, and mumbo-jumbo talky-talky Codec conversations. All that can be found in optional cassette tapes it if that is what you love about Metal Gear. 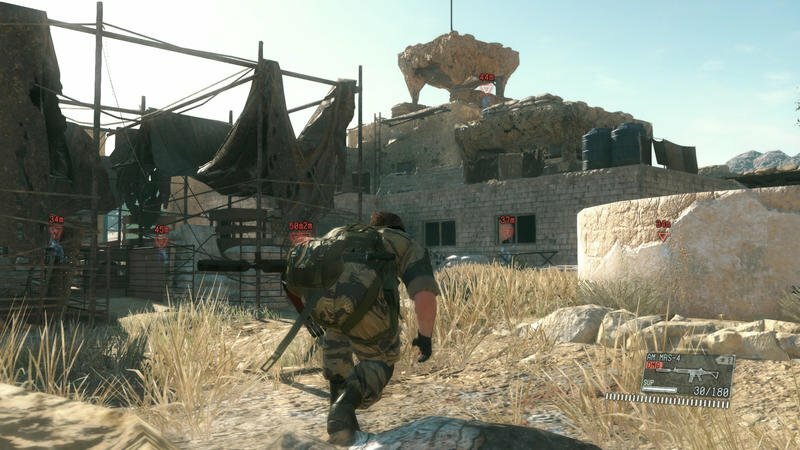 The Phantom Pain sets up a simple narrative of revenge, tasking Big Boss with seeking out a rival mercenary group for the destruction of his older one in war torn Afghanistan, and every minuscule action he accomplishes feeds into this obtuse setup. In fact, he's barely in control with the conflicting ideals of his right-hand men, Revolver Ocelot and Kazuhira Miller, dictating his every decision. Big Boss doesn't really seem like he knows what to do or like he even wants to be there. He just exhaustedly dredges along with his mission since that is all he has and all he has ever known. 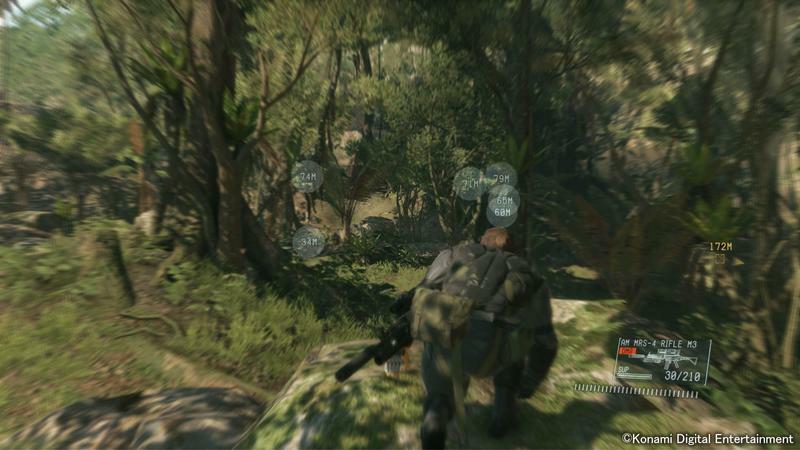 Kojima wisely tones down the convolution, which has been a staple of the series ever since the first game. 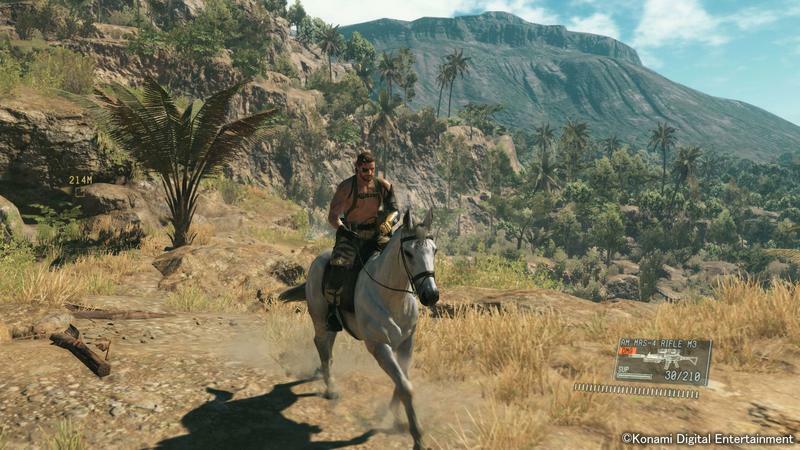 Some purists might cry foul, but it works well in the game's strength as an open-world title. There is no rush to find conclusion, no rush to battle those at the finish line. 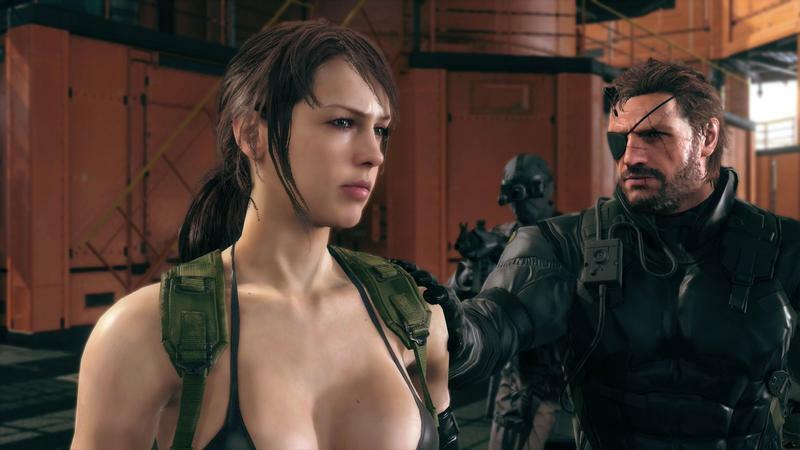 Big Boss doesn't have a high-maintenance girlfriend calling him every two minutes reminding him of the day they met. 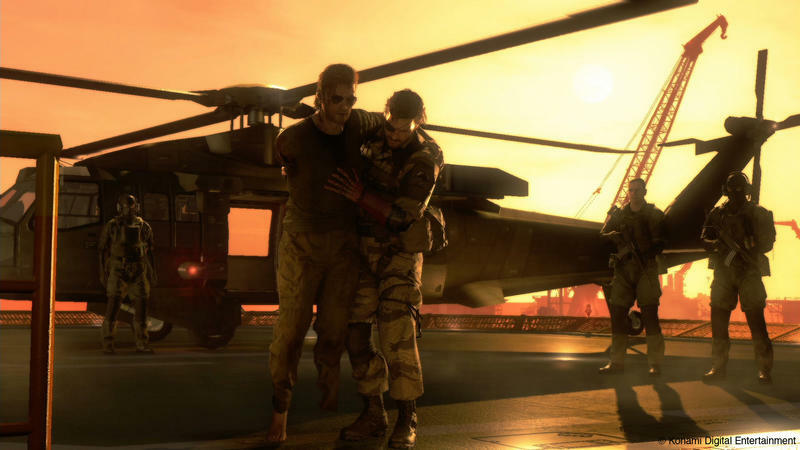 The controversy about Kiefer Sutherland taking over the role of Big Boss is downplayed in this decision as well, because after all, Big Boss rarely speaks in the already shortened cutscenes. He doesn't leave much of an impression at all. Had his lines been as frequent as Ocelot's or Miller's, the issue might be more prevalent, but as it stands now, Sutherland's voice is more of a non-matter in the grand scheme of the larger picture. 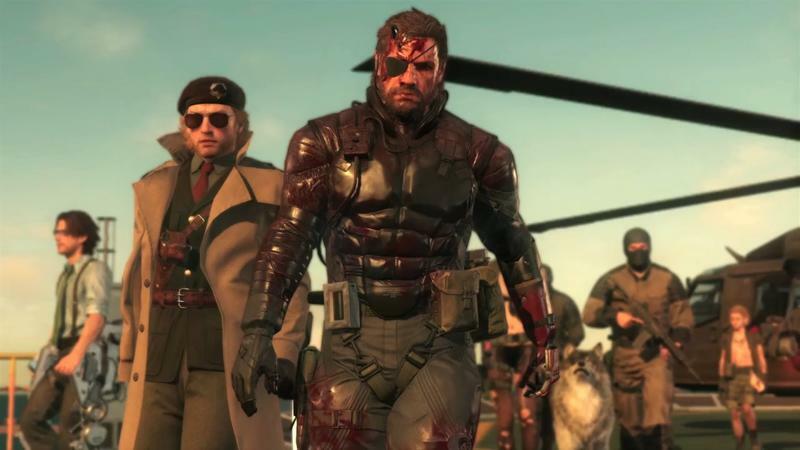 The Phantom Pain perfectly delivers a sense that everything will happen in due time, leaving Big Boss free to wreak all the havoc he wants in these tiny corners of the world. The true blooded signs of a perfect sandbox title. And with the freedom to travel and do as he will, you better believe Big Boss has a wide variety of objectives and missions at hand. We'll start with the game at its most basic: missions and side-ops. 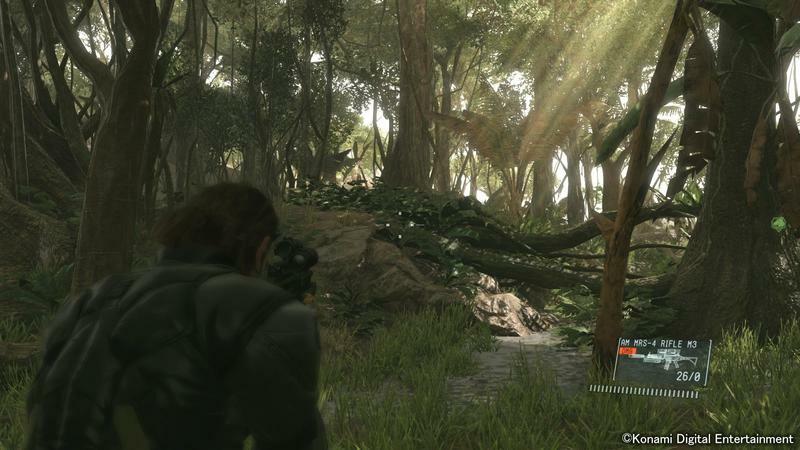 Much like in the previous game, Metal Gear Solid: Peace Walker, Big Boss runs a mercenary group, and he'll be hired to take on a mission or a side-op somewhere on the map. The only difference is that missions are story based and side-ops are not. Simply select them from his iDroid, and a helicopter will drop him into play. Once Boss is on the battlefield, he can do these whatever way he pleases to achieve his goal, and he will never be abruptly cut short by scripted events or limitations like some of Grand Theft Auto's horrible "nose hair pulling" missions. 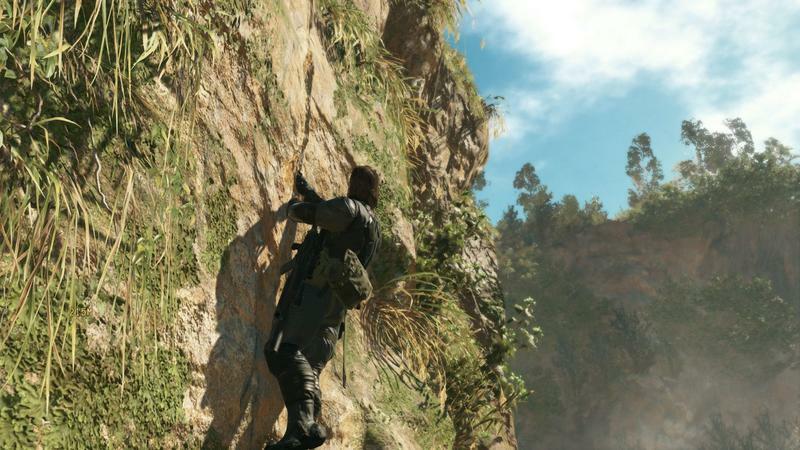 If you can think of a solution within the limitations of The Phantom Pain's mechanics, you can do it. It's yet another true emblem of a fantastic open-world game. Assassinations, prisoner rescue, elite soldier extractions, land mine removal, recon. Most of these missions and side ops will also have bonuses for completing extra objectives. For example, in a personal favorite of mine so far, Big Boss was tasked with stopping a group of tanks from reaching their destination. Naturally, this means rockets, missiles, well placed C4 along the road, any means of destroying these metal beasts in their tracks, am I right? Nope. A single Big Boss decoy placed in the middle of their path brought the tanks to a halt and a their drivers from their seats to check it out, and while they were distracted, a few Fulton Extraction System balloons, the ones seen in the trailers sending captured enemies and goats sky high, were all that as needed to capture both tanks and the tank commander along with his jeep. All 7 objectives completed, not a single shot fired. Grand Theft Auto would think of a way to stop me from exploiting that, making sure that I see an all-important scripted cutscene because that's what Rockstar demands. 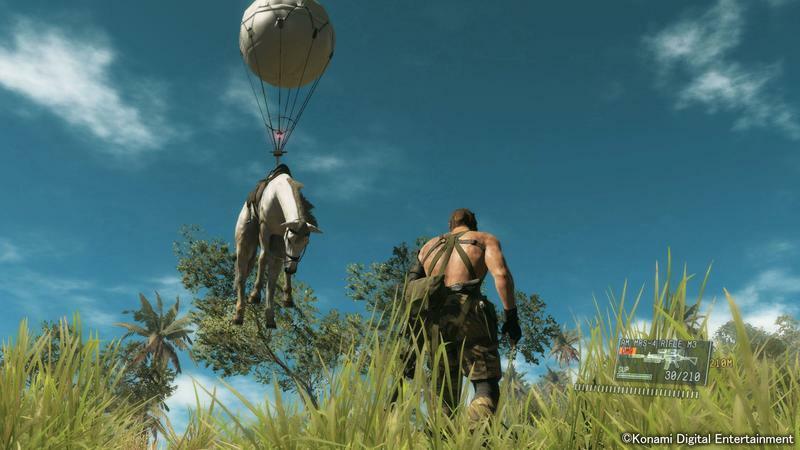 Metal Gear Solid V: The Phantom Pain instead rewarded me for my ingenuity. 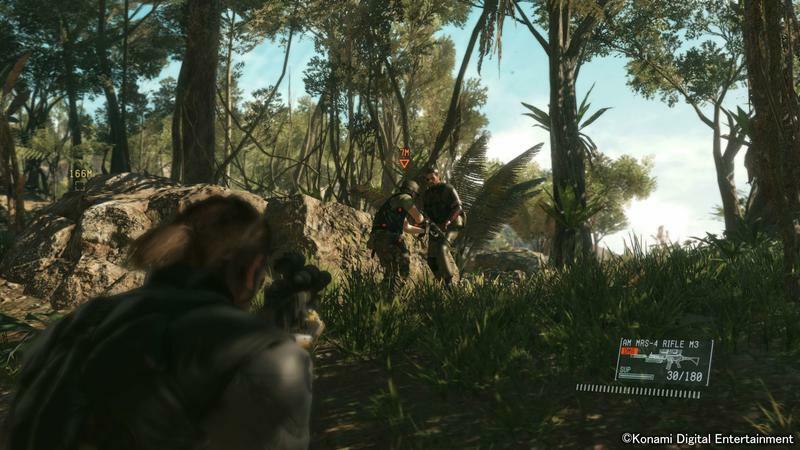 Another mission shows the true mastery this game achieves in an open-world setting when Big Boss must sneak through rocks, carrying a prisoner and avoiding the eyes of a monstrous Metal Gear searching for him. 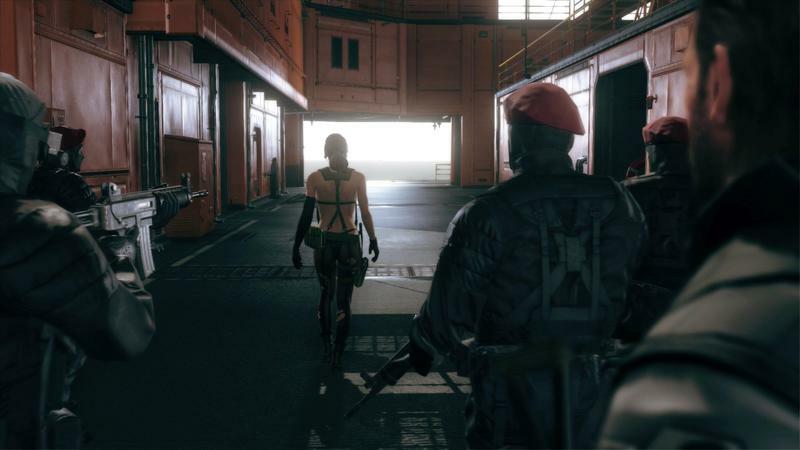 If you very thought the stealth genre couldn't work in the open-world, this mission will prove to you differently. The game comes loaded with fun little situations like this, and like all the best Metal Gear Solid games, the real fun comes from torturing the AI. 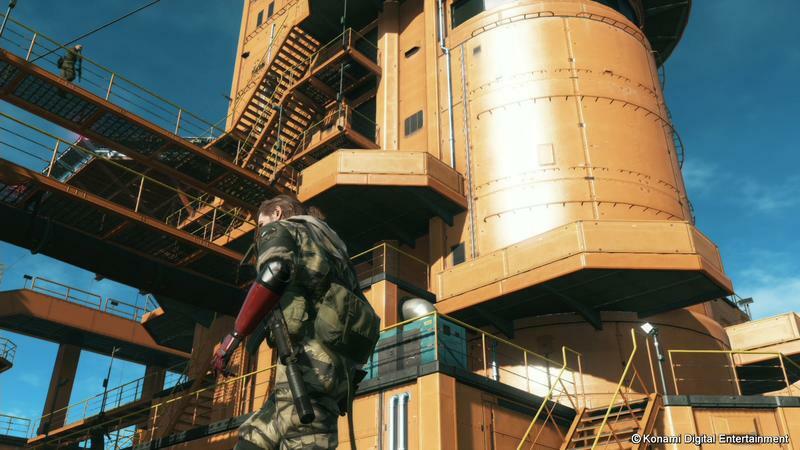 Here is where The Phantom Pain sinks just a little bit. All of these little moments are great, but they feel a bit superficial as to what "Metal Gear Solid" has evolved into over the years. 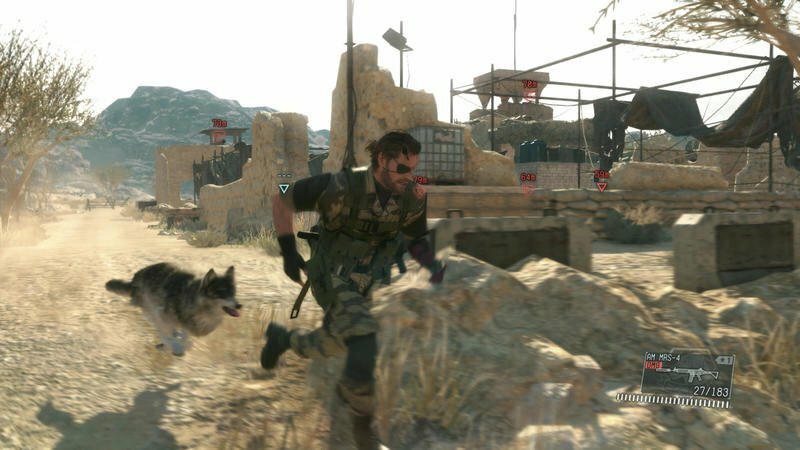 For every stealth attack, silenced headshot, Fulton-extracted tank, deceptive decoy, The Phantom Pain lacks the true inner workings that made masterpieces like Metal Gear Solid 3 work. Examples like changing the PlayStation 2's inner clock to kill The End with old age. Poisoning enemy rations. Attaching C4 to the backs of unsuspecting soldiers. 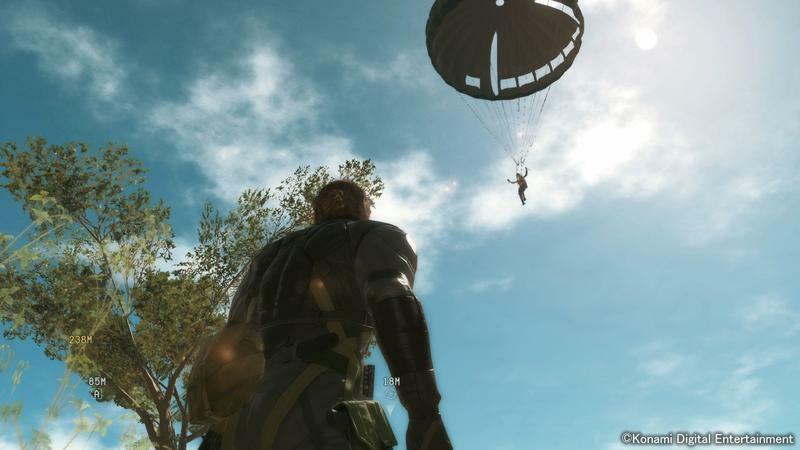 These made the older games much more fun to exploit on an intimate level with the enemies, whereas The Phantom Pain's exploits are on the grand scale of its sandbox world. Not because it's fun or because it's extra, but because that's just how the game is. 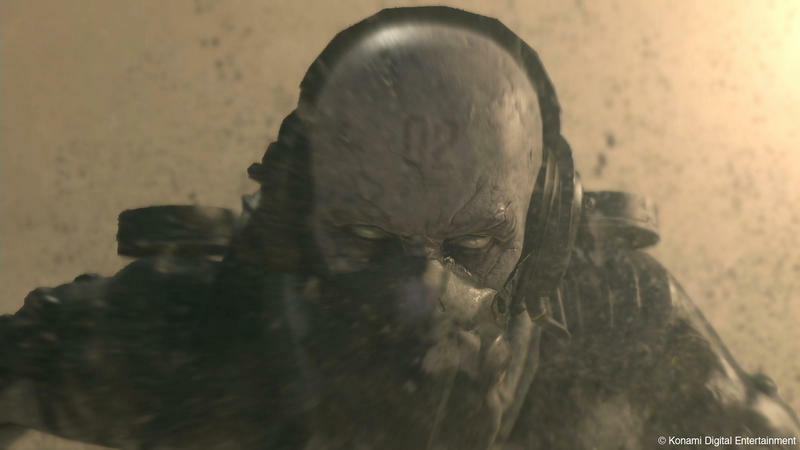 The purpose of Metal Gear Solid V as a sandbox game is to exploit and find weaknesses, whereas in Metal Gear Solid 3, it was a bonus. I get a sensation of Metal Gear's inner workings being there, the ones which made the older games so unique, but just like the game's plot, they too don't dive as deeply into those cracks as I would have liked. But like I said, it's a different game from the first four games, borrowing most of its ideas from the excellent PSP entry Peace Walker, which was also "light" on the grand Metal Gear Solid scale. 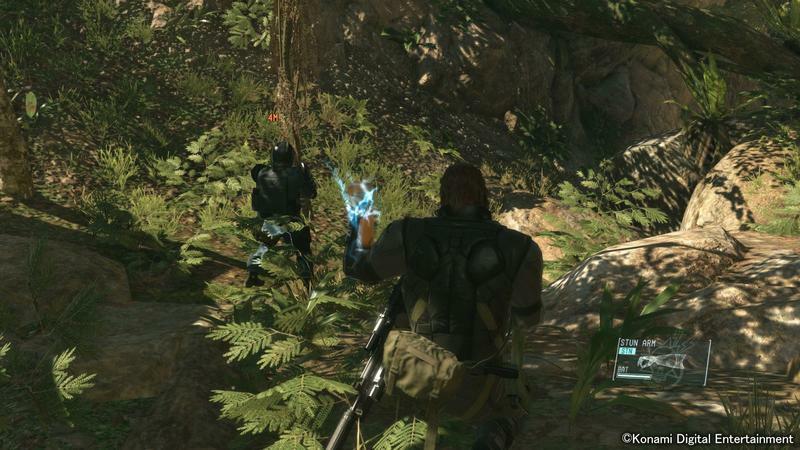 I doubt the programming of those little moments from Metal Gear Solid 3 would have been possible in such a broad, detailed world. And like the best sandbox games, everything happens for a reason. Every action Big Boss takes has a purpose. Collecting animals boosts his heroism, "recruiting" soldiers with the Fulton Extraction System swells his ranks, missions score him money, and expanding the base allows for more devastating equipment to be constructed and put onto the battlefield. Even collecting worthless plants, a tedious task in every open-world game, makes his tranquilizers stronger and performance enhancing pills last longer. Every last one of these actions goes into making this game ultimately more fun, and all this is visually represented by Mother Base. 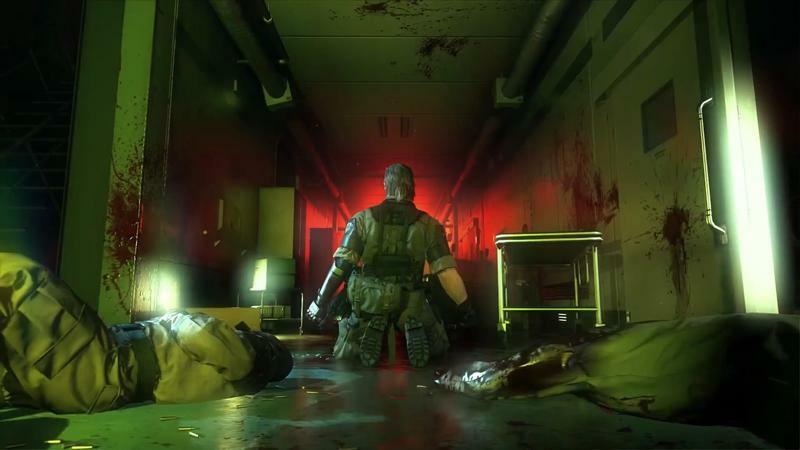 Mother Base is an interesting idea, a kind of safe haven Big Boss can return to when he needs to cool off in between his glorified murder sessions. 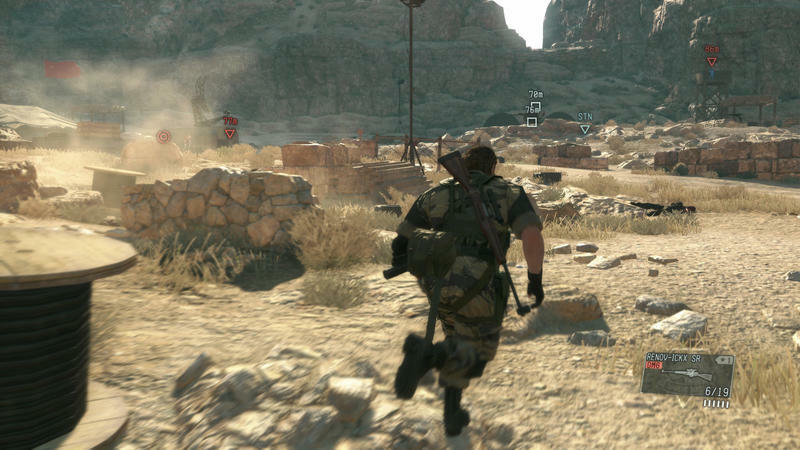 Peace Walker introduced the idea of creating a home base, but The Phantom Pain marks the first time Big Boss can go there and actually walk around. Touring the base is relaxing, and it has its rewards too like diamonds which have slipped from their cargo boxes, just waiting to be collected for money, or characters popping up you might not have expected. 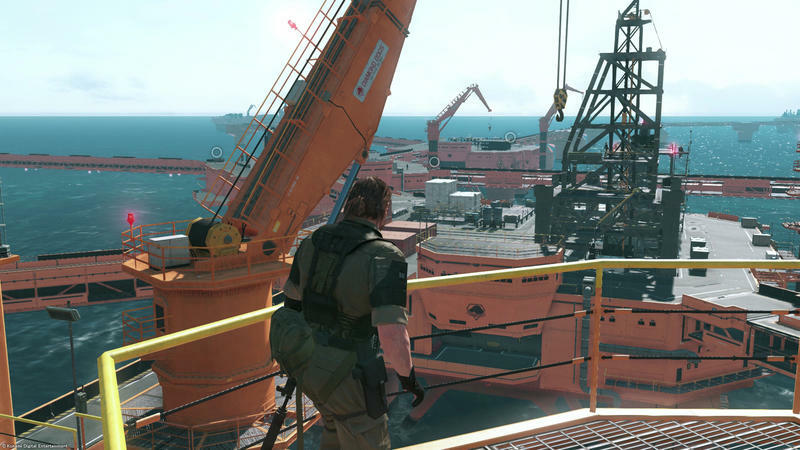 It's a nice touch, but what the expanded base truly represents is the number of soldiers Big Boss has under his command. It's more than just a cosmetic addition. More soldiers means better weapon development, better support with the map and enemy radar, faster base expansion, higher success rates on deployment missions (a great source of income as the game progresses). Increased heroism through successful deployment and rescue missions leads to more volunteers joining. 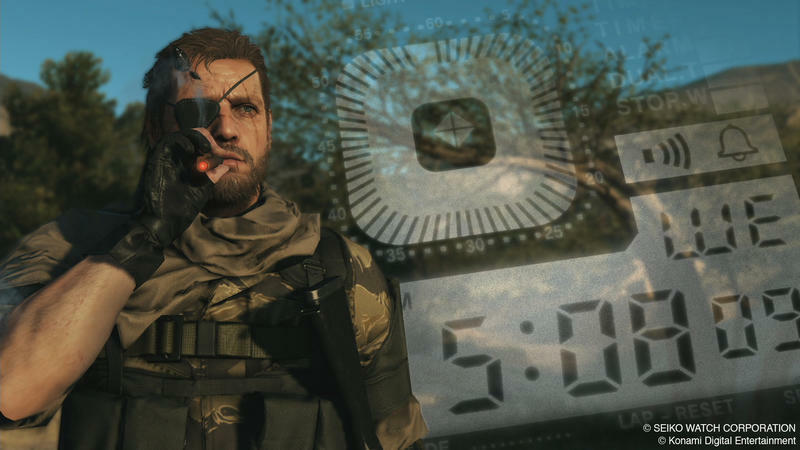 Big Boss will eventually have so many recruits that he'll have to trim his ranks at some point to make way for better ones. 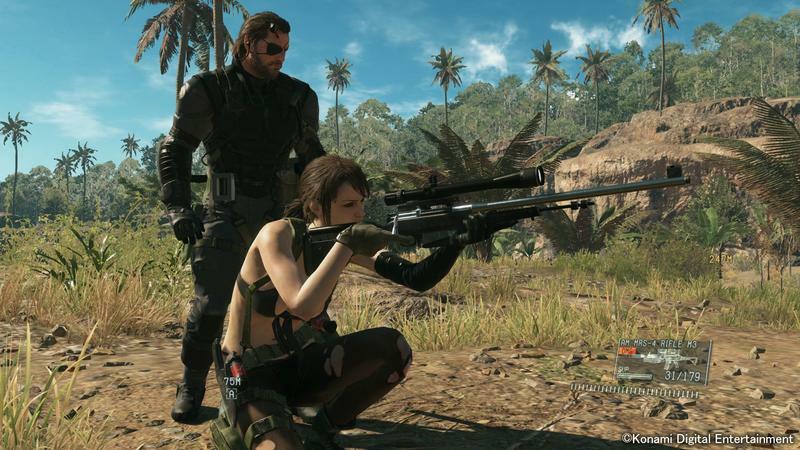 Big Boss can also recruit "buddies" to take on missions with him like the dog, the horse, and the lady-sniper Quiet. Improved relationships with these buddies makes them more effective in battle and thus more fun to bring along, a lot more rewarding than the satisfaction of completionism or seeing a special ending. Overall, the main goal of all of these interwoven systems is not just to complete a story, enjoy a cosmetic reward, or get a pat on the back saying "Good job!" 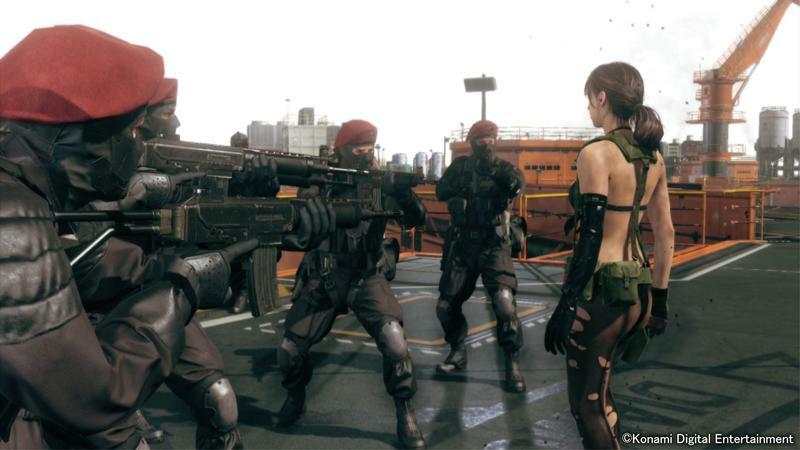 The rewards of Big Boss' efforts all go into making him a stronger force on the battlefield, and to the player, making it that much more fun to control him. As open-world games get bigger and more complex, so many get lost in random elements and pointless systems that ultimately just don't matter all that much in the long run. 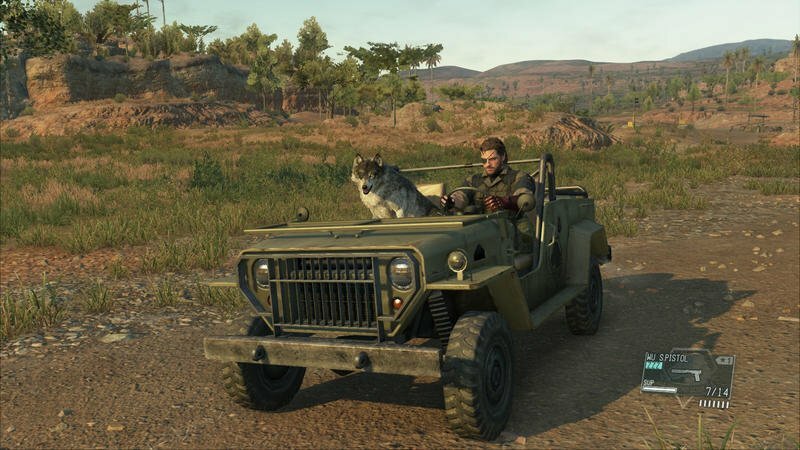 The Phantom Pain keeps it tight with nicely sized maps, simple systems that are always in sync, and it never loses sight of what matters most: your relationship to this growing character. Metal Gear Solid V is enormous as well. With hundreds of guns, gadgets, and other gear, it would take a long time to unlock it all, and that's just the inventory. The world is loaded with bases that need to be taken and personnel requiring a bullet, or a dart if you want to play like that, in their brains. Even at 20 hours into The Phantom Pain, I still have plenty more to see with 20 percent of the game completed. And even with this much in the bag, I am more than satisfied with what I've seen so far. 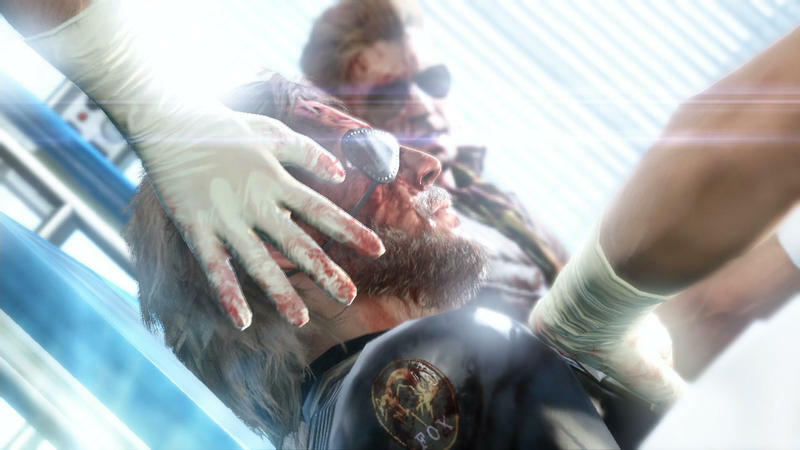 Big Boss is a constantly evolving avatar in this world, and he's a gift that keeps on giving. Oh yeah, it's also gorgeous to look at. Did I mention that? If you didn't get the idea, I love this game. It is a marvelous addition to the open-world genre and another one I can add onto the short list that I love. I think I need to use my left hand now if we are counting. It's also a great addition to the Metal Gear Solid franchise, portraying it in ways I didn't believe possible until now. On the grand scale of Metal Gear Solid though, it's not my favorite. I'd still rank the original and Metal Gear Solid 3: Snake Eater above it, placing it square in the middle above 2 and 4. As I said before, it touches on a lot of what the series does right, but doesn't dive into those ideas as thoroughly as the best Metal Gear games do. The sandbox setup has its benefits, but not all the answers. But I mean, when you come up short on two of the best games ever made, there is no shame in that. 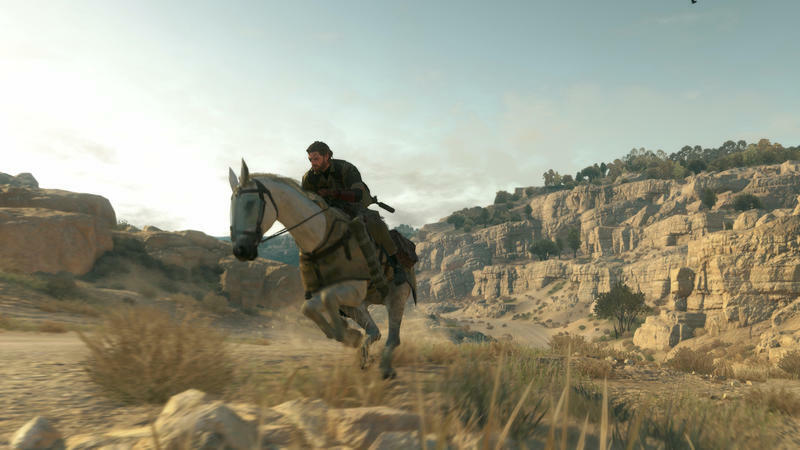 Metal Gear Solid V takes its swipes at its masterful predecessors' boots, which is good enough for a purchase regardless of the price and a much closer comparison than most other AAA games I've seen over the past two years. On a more personal note though, this is the first "next-gen" game I've truly loved, which is a little crazy because it's a cross-generation release. I've been wishy-washy with a lot of games since the PlayStation 4 and Xbox One launched, but this is the first game I can claim to outright adore and will always have a solid place in my collection. Maybe Shadow of Mordor comes in a close second, but many of the things it did right, The Phantom Pain does a little better. "Greatness" is finally here for me two years too late, but the people who made it happen are no longer around to do it again. The closure of development studio Kojima Productions under the Konami banner is a momentous occasion in gaming history, one which will shake the fragile balance between artists and corporate suits in our industry, but at least it was able to go out on a high note. 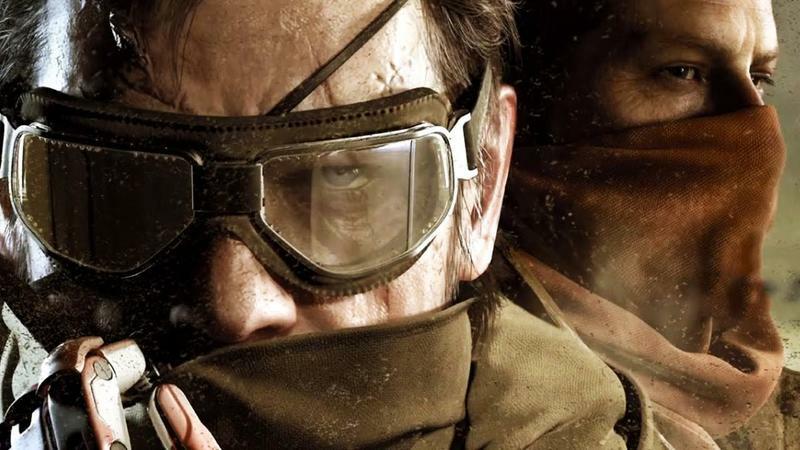 Bringing closure to one of gaming's most iconic franchises and finally closing the book on 28 years of a continuous narrative was no easy task, but Kojima Productions should be proud that it sent the series off right… and then some. And I haven't even seen the ending yet! More on that later. 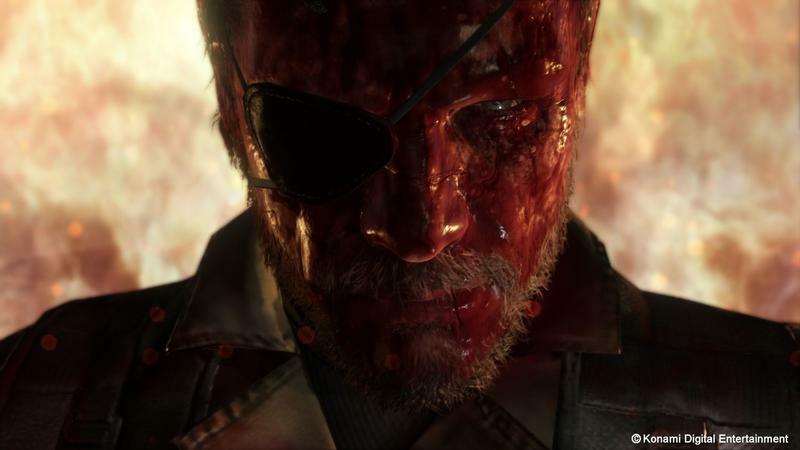 Disclaimer: We purchased Metal Gear Solid V: The Phantom Pain for the PlayStation 4 with company funds and played it for 20 hours of the campaign before writing this review.